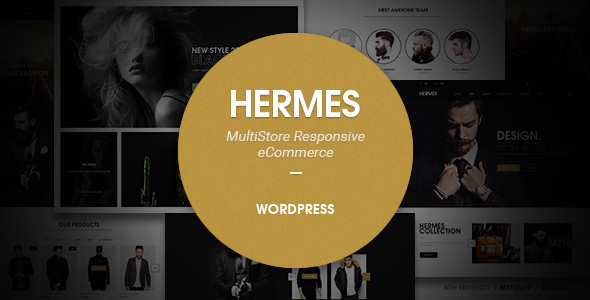 Hermes is a professional WordPress theme. It comes with a lot of features and variations: Responsive Layout, Mega Menu, Page Builder, Awesome Slider Revolution, Product Quick View, Easy One Click To Install, … and so much more. Easy to use, awesome and powerful. These are the words that we talk about Hermes. You will be able to build your website in a snap without coding knowledge. Are you ready to get it for now? - Move all footer settings to widgets manager to help setting multi-languages. - Update powerful color and background setting for header, footer for all skins. - Fix query get categories not get all. - Fix Grid view with row display correct and open setting for 5, 6 columns. - Fix scroll to loadmore make error lazy load product images. - New Revolution Slider plugin version. 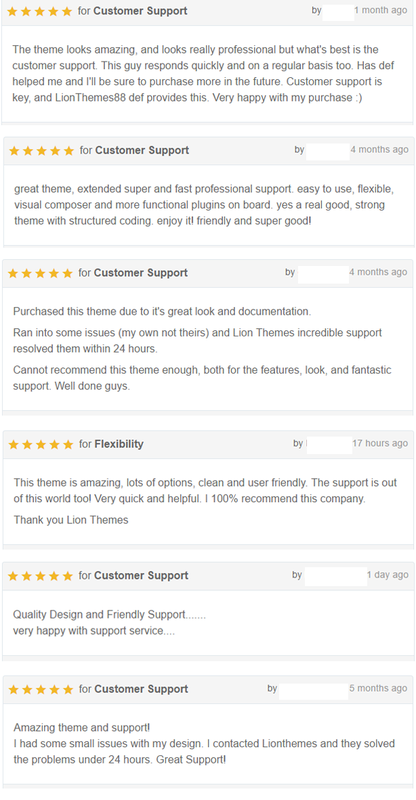 - Update LionThemes Helper plugin. - New Visual Composer plugin version. - New product slider thumbnail image size setting in Theme options -> Products -> Product. - Fix products tab overlay on carousel navigator. - New hover effect options for single image element of Visual Composer manager. - Fix auto open current category view on sidebar. - New option to disable responsive on individual page. -UPDATE: Compatible with woocommerce 3.3.x. -UPDATE: New Visual Composer plugin version. -FIX: Fixed some style issue on mobile and menu item level 3 hover. -NEW: Options to show hide minicart and header search. -NEW: Carousel auto play options for all home page carousel block. -NEW: Lazy loading images for shop page or product list widgets. -UPDATE: Lionthemes Helper plugin should be re-install. -UPDATE: Compatible with woocommerce 3.2.x. -FIX: Style issue remove button in mini cart. -FIX: Remove item in cart bug. Fix PHP warning on gender social icons from setting. Fix Thankyou page compatible with newest woocommerce functions. Fix sale label color setting not work. -UPDATE: New autocomplete ajax search products options. -UPDATE: Lionthemes Helper plugin to fix non effect on loading page. -UPDATE: Revolution Slider update version. -UPDATE: New Visual Composer plugin. -FIX: Cowndown not work on minute element. -UPDATE: Compatible with woocommerce 3.1. -UPDATE: Lionthemes Helper plugin to fix display specify products in category. -FIX: Filter products not work on search result. -FIX: Theme option not working on child theme. -NEW: Option to switch newsletter to Mailchimp form. -FIX: Product detail error function. -NEW: New show on effect option for all home page VC widgets. -NEW: Revolution Slider update version. -FIX: Less generate warning message. -FIX: Search products result not show when setting shop display all categories. -FIX: Style level issue when product categories list sidebar has more than 2 levels. -UPDATE: New specify products collection compatibile with woocommerce 3.0. UPDATE: Compatible with woocommerce 3.0.0. UPDATE: Open hook after loop products list action. NEW: Load more ajax in products list page options. NEW: Random collection for testimonial widget. FIX: Turn of topbar not apply. UPDATE: Update theme helper plugin (important). UPDATE: Theme work find with new wordpress & woocommerce version. FIX: Theme style options not apply in child theme. FIX: Grid view display correct with responsive and different image size. FIX: Category query more correctly. FIX: post, product published query more correctly with schedule date. FIX: sale price style on quickview. FIX: excerpt length for widget blog home page work correct. NEW: New header customize backgournd & color options. NEW: Category option for special products widget, it help you create multiple store pages. UPDATE: New options show/hide quickview , related products, up-sells products, always show product actions in list. FIX: Menu hover issue when mouse move under menu sub-menu open. FIX: mobile search bar style, menu mobile style. FIX: Display video, audio, gallery format on home page vc blog widget. NEW: Sidebar toggle show/hide when view shop on tablet/mobile. NEW: Child theme can use both less & css format. Update : New home page 4 and 5. Update : Account dashboard page on new woocommerce version. Update : Lastest version for Revolustion Slideshow.